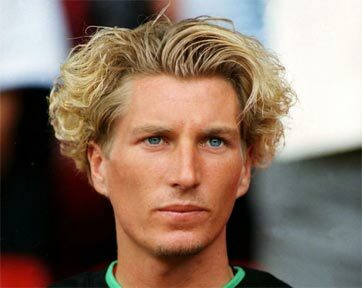 Many of you will have seen this weekend that former footballer turned pundit, Robbie Savage, shared a column about his views on grassroots football in England having been involved as a parent and coach in recent years. You can see his column http://www.mirror.co.uk/sport/football/news/robbie-savages-10-point-plan-11259164 and it is worth a read. Robbie is one of those that can divide opinion following his playing days but on the couple of occasions I have met him I’ve found him a pleasant guy. In order to continue moving the game forward it needs a combination of things including the volunteer workforce to keep coming up with practical ideas that will help their efforts and also people that can raise levels of awareness, such as former players. However, that is tempered with the fact that those views have to come from an educated and current perspective, not just a place of “well this is what happened to me and how I succeeded” and the associated bias that such a comment incurs. Whilst I don’t directly work within the grassroots game for my job anymore, I have coached and had a role to play over many years so thought I would add a view from my experiences. On the whole there are some good points presented but also some I wouldn’t personally agree with. a) Simple stuff that Robbie mentions comes with clarity and common sense, for example, “95 per cent of mums and dads who turn out in all weathers to cheer on their kids are supportive and well-mannered”. This is one point I have banged on about for ages and totally support – parents are NOT all bad. The majority are amazing and brilliant and it’s the loudest minority that have too much nonsense to say for themselves! Let’s not say ALL parents are bad because that simply isn’t true. b) “I would have parents supporting their teams on one side of the pitch and all coaches, managers and their substitutes on the other” – this is just good practice as suggested under the FA Respect programme and nothing new, something I know happens at clubs up and down England every weekend. c) “How about sin bins to cool off for bad tackles, offensive gestures, answering back to referees and dissent involving foul language?” – agree with Robbie’s point about children needing to learn about a consequence for their actions. The challenge is what fits in with the Laws of the Game, as directed by IFAB via FIFA, and not always entirely in the governing body’s gift and more complex. However, we have the opportunity to do this now and in the early stages so we don’t now have successful this has or will be. d) The next point about more equal game time is absolutely right and to be commended, along with the point “Youngsters cannot be expected to enjoy games if their team loses 18-0 every week”. This is a bigger challenge and needs the adult coach to start to have to manage their own ego and realise that the game they are helping organise is not about them. I would go one further and suggest that neither team learns from this scoreline in a game. This needs adults involved that understand child development and put them FIRST. And league officials that understand this too, not worrying about what the black and white rules say and fining teams that start to address this. For this we may need a mindset change and an overhaul to challenge a bigger problem. e) Futsal; yes, as part of a balanced diet of different sports for children. Adding more football on top of existing levels will not be helpful and could lead to increased levels of physical, physiological and psychological burnout and injuries. But there are certainly some benefits. The benefits for long-term elite athlete development about multi-sport are well documented and avoiding early specialisation is important. Like Robbie’s haircut above…some stuff I’m not so sure about! a) “…welfare or safeguarding officer at every youth level game” would be lovely but not sure the suggestion of being part-funded by councils is realistic. At tough times of austerity this would not be a priority I don’t think. However, if the game is conducted appropriately, and bad practice in coaches and parents is not tolerated or accepted, then this should be less of a requirement. b) “If their poor behaviour persists, they will be shown the red card – AND their sons or daughters will be forced to leave the pitch” – this clearly is a hardline approach that punishes the child for the poor behaviour of the parent. Now, I understand the point Robbie is making but it doesn’t sit comfortably with me that the course of action is fair on the child when the adult should know better. Further, they tried to introduce this in another sport and having had conversations with their staff this didn’t work and was very rarely enforced by referees. Not the answer IMO. c) “It makes me angry when I see kids of 10 or 11 trying to play on full-size pitches” – if this is happening anywhere in England, Robbie, please let me know. The rules changed in May 2012 so that 9v9 was the format and had required pitch/goal sizes and five years on I would be very surprised if that’s happening. It isn’t ‘recommended’, it’s mandatory. d) …”I would like to see the first half played with no balls allowed over head height except from corners or free-kicks” is one comment I don’t agree with. Part of learning about the game is recognising space; sometimes this is between opponents down the sides, sometimes this might be in front of defenders and sometimes it can be in behind. The young players learning the game then have to understand and start to see where the right spaces to play into at the right time are and limiting one third of this decision making doesn’t make sense. When there is a 1v1 high up the pitch, this IS the right pass to play and then the young player choosing the right technique is part of their learning. e) Banning goalkeepers from kicking the ball out their hands is one I’m not sure about and needs more consideration and discussion with experts. It’s fine suggesting the outcomes of playing short but what are the trade offs of doing this? Do opposition managers then push all their players high up the pitch and then the team of less technically talented kids cannot play out and then never get out their own half? Will teams then play for ‘goal kicks’ knowing a high press becomes the tactical solution to win the game? What skills do GK’s miss out on from not playing longer if that IS the right pass to play? I think there are loads of questions on this one before it seems a sensible suggestion. It’s a bit like the retreat rule now in mini-soccer; what has the impact of this been and what needs to change now? Does it need to change at U9/10 so they can allow one defender in the other half to press and affect decision making? Needs to be thought through carefully. f) The comment about kids still playing grassroots whilst at Academies is another one that needs some thought. Whilst I don’t disagree with some of the benefits, what’s the impact of this? Robbie wanders into the “it was fine for me” territory here. However, how many kids fell away from the game because of too much and their bodies couldn’t cope with the loading, especially during key periods of maturation. Can a growing body deal with training at a professional club three times per week and a game, plus grassroots club training once a week and a game, plus school PE and school sport? I’m not so sure. I know one professional club that increased their training at the onset of EPPP to four times per week, plus a game, and then reports of overuse injuries and trauma went through the roof! Added to the impact on young players, it was the hit taken by parents taxiing the kids everywhere, younger brother/sister dragged to every session and the coaches being massively over-worked that meant everybody was shattered before Christmas! I’ve got no idea if Robbie will read this or not and I certainly commend him for raising awareness of many of the concerns that he has done. He is an influential figure in the game because of the platform he has and I just hope this opens discussion and people’s minds to keep improving and developing the wonderful game. On the “teams winning 18-0” comment, my (U12) league is not decided on goal difference if points are equal and the league stress this point as they want coaches to do their best to “make it even” once a game is obviously won – i.e. rotate players, play them in different positions, set team challenges, maybe take one off and play underloaded etc. I’m not sure if all grassroots leagues are supposed to be doing this, or if they are, if they make that point loud and clear to all participating clubs. The pressure of playing now for some kids must be unbearable given scouts are recruiting younger & younger and the ultimate prize for some parents is greater than their child’s enjoyment of the game. One idea to kerb this over enthusiasm could be for the professional clubs to run the leagues? doing it this way means that player recruitment continues at the ridiculous ages they do now, however the accountability of the leagues integrity falls at the door of the club. The pressure of playing in the perceived top division dissipates as the scouts will have access to all teams & players in what could be termed as their Community Development Centre/Academy. Parents will be happy as their child is “part” of the big club, big clubs are happy as they have a pipeline of talent year on year. This approach takes the pressure off the County FA’s who bear the brunt of grassroots behaviour issues and allows them to concentrate on participation opportunities across all formats including futsal. It would be interesting to hear from those involved in school sport, are these behaviours only isolated to weekend club football or are they replicated up and down the county in school games as well? I agree with the comments you have made Nick L. I am a coach of U9 grassroots football and am a firm believer in not playing too much too soon. Academies and grassroots – too much for participants and parents but also agree with Nick G above that will push some grassroots players out at the same time. I agree that at our club it would be completely unrealistic to have a welfare officer at every game. I categorically don’t agree with punishment for children for their parents behaviour but think that some agreed system to quieten and then remove parents that are behaving inappropriately is well worthwhile. We have at our club told a parent to stay away from matches because of his actions and the boy is great. 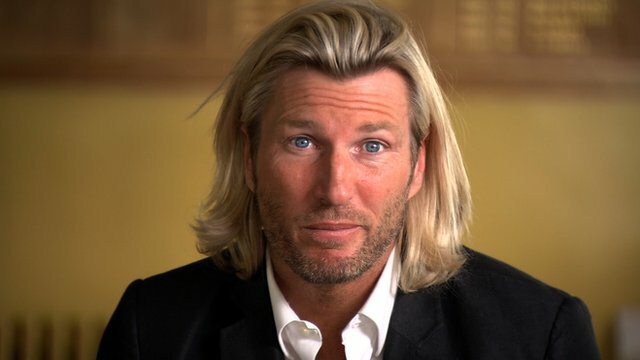 Great to read Robbie Savage is watching grassroots youth football, and has come up with some ideas to address some of the problems including how to deal with overly aggressive play that can destroy other players’ confidence and enjoyment, without resorting to yellow or red cards, which are rarely used anyway (and arguably shouldn’t for young players). Our county FA is doing some good work, and things are improving. However, if my experience is representative, in 9 consecutive years of district league and county cup matches, and countless sanctioned tournaments, county FA officials do not watch local matches, or attend training sessions. Without doing this and seeing it as part of their job, including carrying out unannounced visits, the FA will never have the clearest view of how we can improve grassroots football. We can work better together to raise standards of coaching, player welfare and improve local facilities. The FA licensed coach resource is only part of the answer to this, a more dynamic and proactive approach from the FA would work with them being even more involved in grassroots and schools’ football, as Robbie seems to be doing.